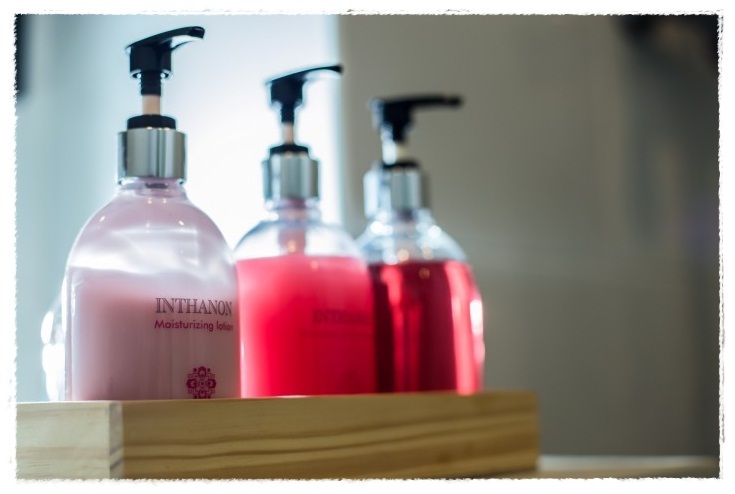 In our guest bathrooms, we present you ‘Satian’ the finest bath amenities including shower gel, shampoo and conditioner, and body lotion. The 3 series of them are inspired by the nature of the North part of Thailand. - Chiang Dao – The smell of Luang Chiang Dao, charm of Chiang Mai, is a serenely and heavenly beautiful hill valley with diversity of plants. Its height matches the stars andlives up to its name which means ‘as high as stars’. Surrounded by the warm and eye-catching massive mists far across the valley. This splendid scene becomes one of the inspirations of Satian Body Series. - Inthanon – Doi Inthanon, the land of the beauty of nature and dense forest. It has cold weather and high humidity throughout the year. It is the land of Wild Himalayan Cherries which are found along the trail and in full bloom on Doi Inthanon. - Suthep – Doi Suthep, the land of foreset, high mountain and source of stream. It is also the origin of religious culture. Paphiopedilum Orchid, yellow orchids that are thriving among moutains and stream, are fragrant and elegant.